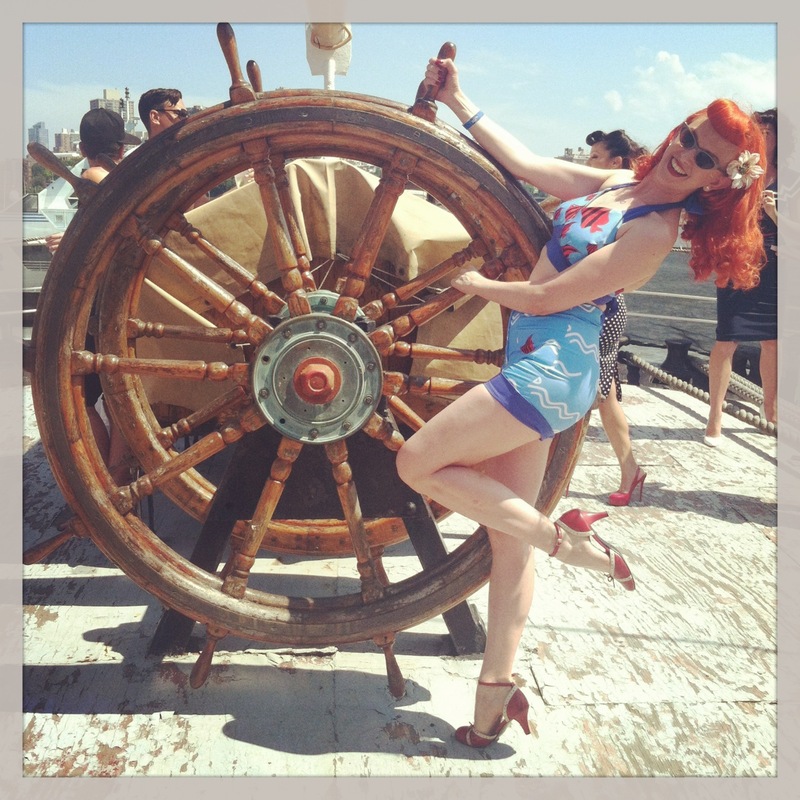 Bettie Page Clothing at 4Knots Festival! 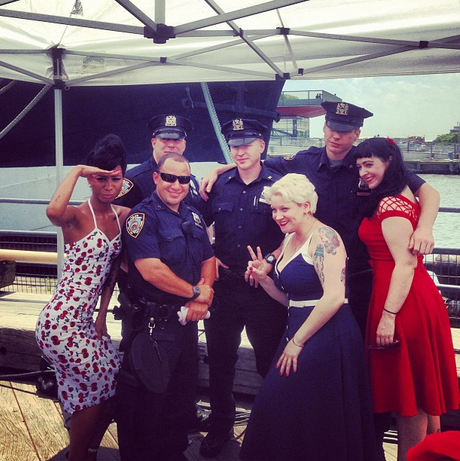 Making its home at New York’s legendary South Street Seaport, The Village Voice’s 4Knots Music Festival was back for its third year on June 29, 2013. Continuing the Voice’s 13-year history with live music showcases, 4Knots showcased renowned and emerging artists on today’s breaking music scene. 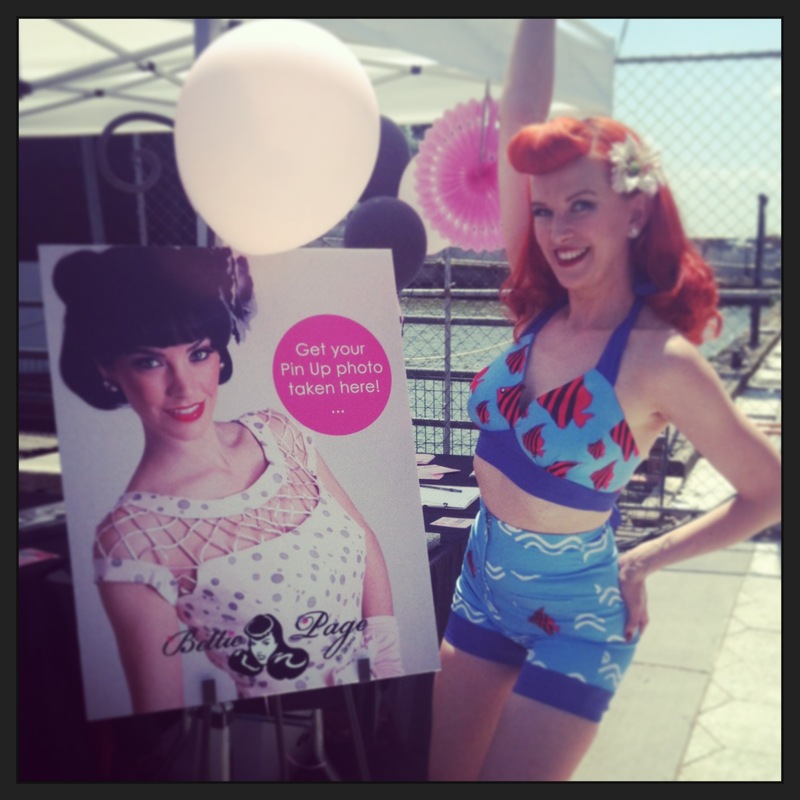 Bettie Page Clothing was a sponsor at this years festival and I was so sad I couldn’t attend! However, some of my friends and favorite models came out in nautical fashion to show 4knots what retro greatness is all about at the BPC booth! The special BPC NY sirens included Bettina May, Jade Vixen, Hayley Griffin, Tina Tassles, Dariell Leak, Mary Adams, Justine Sanborn, and Camille Marae and they had people swooning like sailors in their BPC outfits. Everyone got a chance to pose with their favorite pinup BPC models, partake in their own pinup shoots, and got to see the new BPC collection. 4knots provides an ideal platform for companies to interact with a young and influential audience so this was a great way to show NY’s finest what BPC is all about! I haven’t been to the seaport in years but it is designated at the New York City historic district and features some of the oldest architecture in downtown Manhattan. SWOOON. The entire Seaport neighborhood is meant to transport its visitors back in time to the mid-19th century, to demonstrate what life in the commercial maritime trade was like. The name of the festival “4Knots” comes from this rich nautical history at the Seaport meaning “the speed of the waves as they meet at the Seaport in New York’s East River”. I am so glad BPC was a part of this great event and hope to attend next year! Live vicariously through their fun photos inside! All aboard! Bettina May looks amazing in this Bettie Page “What a catch” playsuit! Jade Vixen looks like a stunner in the Coast Guard Blouse and Kiki Pencil Skirt! 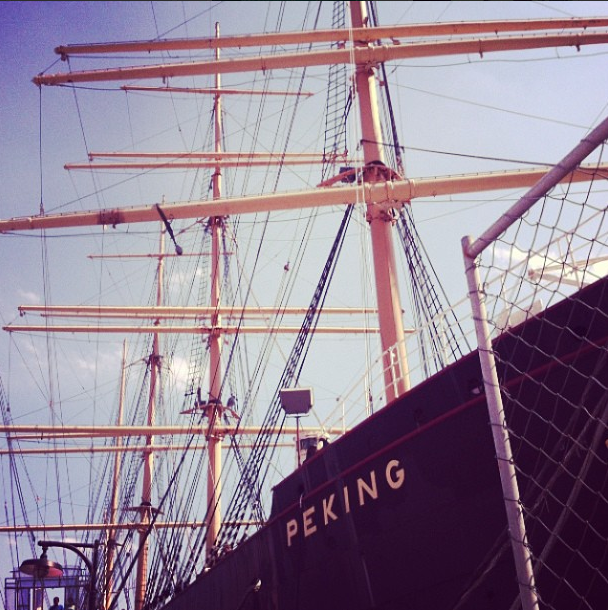 All aboard the Peking! Hayley looks gorg in her BPC playsuit! Such great colors! Werk it girl! Steer that ship Bettina! Bettina bringing nostalgia to the peking! Justine was clearly the Captain of the Peking in her BPC Captain dress! Lined up for pinup shoots! Oh hayyy Dariell! You cherry bomb you! Love that BPC heat dress! Tina Tassles was rocking her Sea Breeze dress like a true burlesque queen! Bettina is such a siren! The NY BPC Elite! These pinups changed that little girls life forever! There’s a new generation of pinups coming our way thanks to BPC! Photo shoot time for the sailors! A group photo of the BPC pinups! So CAUTE! Of course the officers couldn’t resist taking a group photo with the girls too! So happy you ladies had a great time! ← Thrifting in the town of Hudson! Looked like such a cool event and all the ladies looked lovely in their Bettie Page clothing.